England, who last won a Test on the road in 2016, look in line to drop Broad and hand debuts to Burns and Foakes. The magnificent setting of the Galle Stadium is the farewell for the ageless spin giant Rangana Herath, who will bow out of international cricket after the first Test between Sri Lanka and England starting November 6. Overlooked by the old Dutch fort and fringed on two sides by the Indian Ocean, the Galle Stadium has been Herath’s favourite venue, with 99 wickets being claimed there at an average of 24.31. England have never won a Test match in Galle, with Herath claiming 12 wickets the last time the two teams met there in 2012. It is against this backdrop that Joe Root will bid to become the first England captain to win a Test series in Sri Lanka since 2001. 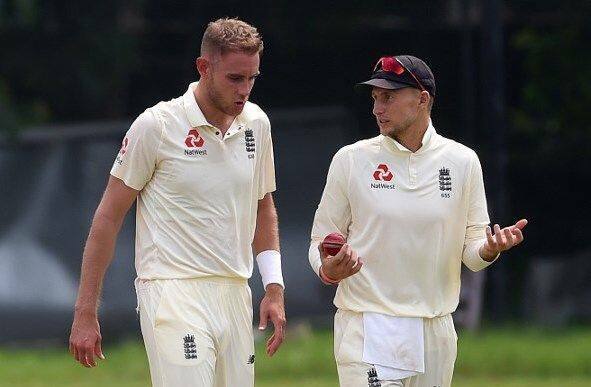 The last man to do so, Nasser Hussain, believes that the retirement of Herath after the first Test in Galle is a terrific chance for Root’s team to succeed, and having won the ODIs and one-off T20I on tour so far, there will be a heightened sense of positivity in the ranks. England’s batsmen will face a stiff Test against spin, headlined by Herath as he signs off at the age of 40, and there could be three debutants in this match. Their first Test in the post-Alastair Cook era will see Surrey captain Rory Burns – far and away the County Championship’s leading run-scorer – slip into a long-cherished opener’s role, and Jonny Bairstow’s injury has opened up a chance for the highly-rated wicketkeeper Ben Foakes. There is also a likelihood that another debutant will enter the fray in Joe Denly, whose international career was revived after a strong season for Kent. Sri Lanka will have to brace for a tougher time in the second and third Tests once Herath is gone. 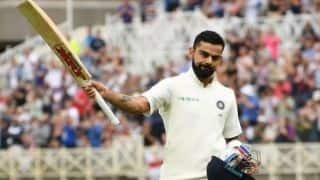 They have a good bowling attack for these conditions, and having beaten South Africa 2-0 on their previous Test series will know exactly what is required to beat England, who last won a Test match outside of home in 2016. Scattered thunderstorms are forecast for match morning, which could at the last moment force an additional seam bowler into both XIs. Kaushal Silva will slot back as one of the openers, having not played a Test since 2017, with Danushka Gunathilaka not around. Angelo Mathews, not part of Sri Lanka’s ODI and T20I plans, looms as a key figure in the middle order. 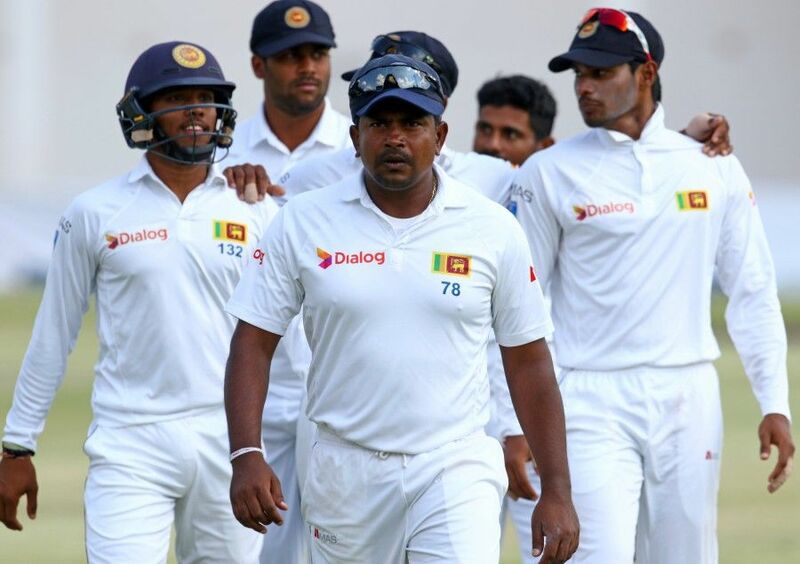 Pairing Herath should be his trusted partner Dilruwan Perera and the much younger Akila Dananjaya. Burns, 28, is expected to replace Cook at the top of England’s batting order. Pairing him will be Keaton Jennings, who wants to repay the selectors’ faith for persisting with him despite an average of 19.20 across six Tests versus Pakistan and India this summer, with a highest score of 42. England coach Trevor Bayliss on Sunday confirmed that Bairstow will miss this Test, leaving one of Jos Buttler and the uncapped Foakes to keep wickets. 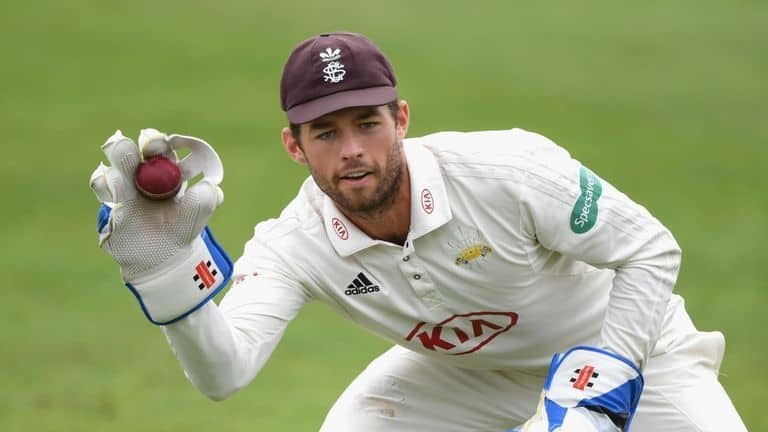 The Surrey man is rated as the best wicketkeeper on the county circuit, and with Buttler last week saying he was unhappy with his own glove work, the chances of Foakes betting a debut is very high. Adil Rashid played all five Tests against England this summer and should slot in alongside Moeen Ali. There is the left-arm spin of Jack Leach to consider, which could be valued as extra variation. And with Bairstow out, England will be tempted to look at Denly who marked his return to international cricket with four wickets in the one-off T20I. Denly was handed a maiden Test call on the basis of a strong run of all-round form for Kent this summer, with his legspin a big plus for the tour of Sri Lanka. Should England opt for horses for courses and load the XI with spinners, as it seems likely, James Anderson could lose his record-setting new-ball partner Broad. – England have lost 10 of their last 13 away Tests, and not won a series on the road since early 2016. – Herath needs one wicket to become the second Sri Lankan after Muttiah Muralitharan to manage 100 in Galle. – This will be Suranga Lakmal’s 50th Test. Only one Sri Lankan fast bowler has featured in more – Chaminda Vaas, who played 111 matches.